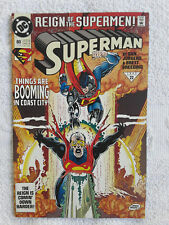 Superman # 80 (DC, 1993) 1st Print Reign of the Supermen! SUPERMAN # 78,80,87. 3 book lot. 1993. High Grade VF/NM. Superman #80 (Aug 1993, DC) Reign of the Supermen! 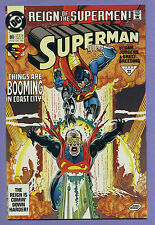 3 product ratings - Superman #80 (Aug 1993, DC) Reign of the Supermen! SUPERMAN #80,81 Reign of the Supermen! DC 1993 ERADICATOR! CYBORG SUPERMAN! 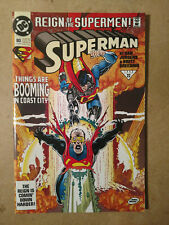 Superman#80 Incredible Condition 9.2(1993) Eradicator! !